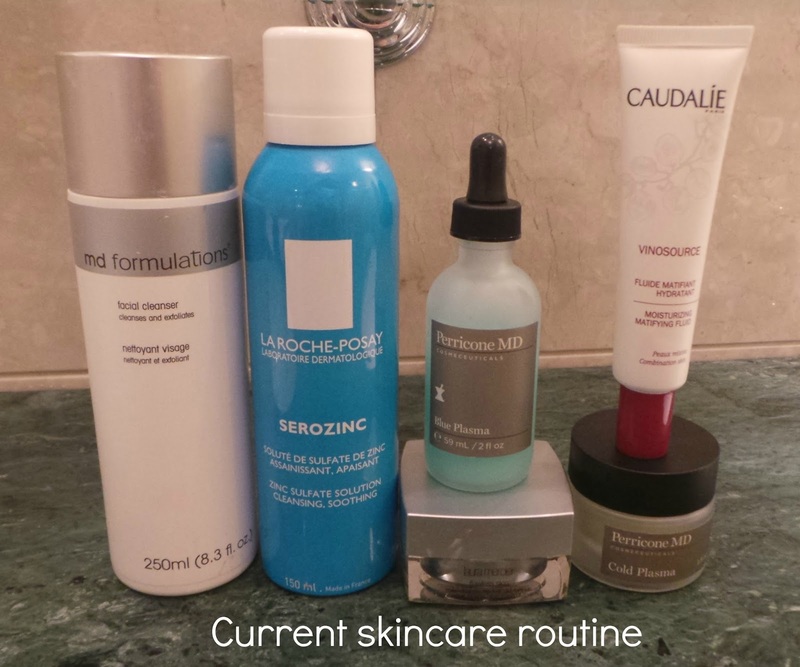 Current skincare-am and pm routine! Over the Christmas period (which seems a lifetime ago to be honest!) my skin was really suffering and bad skin always affects my self confidence. I made a few tweaks to my skincare routine and touch wood, it has been the best behaving it has in a long time. 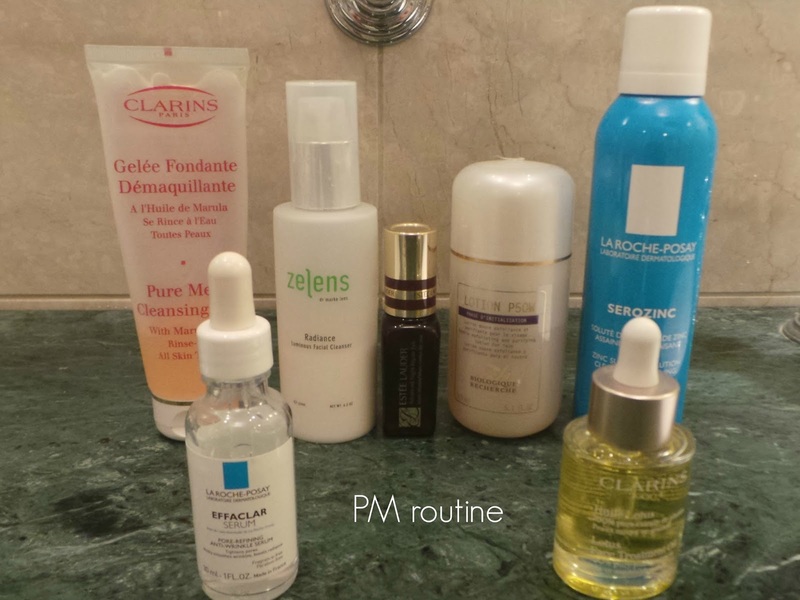 I am no skincare expert but here are my current am and pm routines. For the record I have combination skin and my skin concerns are cystic acne spots every now and again, mainly around my chin and jawline (had none since the first week of January though touch wood again), enlarged pores and the odd small whitehead and blackhead. I have learnt so much about skincare since I have been blogging and it is a real passion and interest for me now. In the morning I start by massaging the MD Formulations Facial Cleanser into my dry skin. Initially I was using this as my second cleanse in the evenings and it just wasn't fitting into my routine well so I switched it to my morning cleanse and now I love it. It's a light, white lotion containing glycolic acid so it sometimes tingles when I apply it to my skin. I feel like it's just a nice light cleanse for the morning and washes off easily without needing a flannel. Despite the name it does not exfoliate manually i.e there are no grains in the lotion. MD Formulations will soon be leaving the UK so stock up now if you're interested! 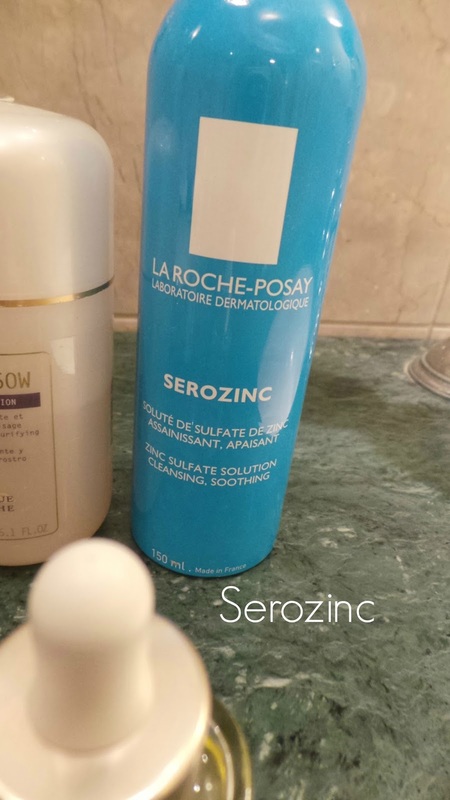 I then spritz my skin with Serozinc which is a Zinc Sulfate solution in an aerosol. It provides a good antibacterial base for the rest of your skincare. This is the second or third tin of Serozinc I have used and I have to say I am not enjoying it as much as I first did. But it is good. And it's cheap (I purchased mine from an online french pharmacy). Am looking forward to trying a new hydrating toner when I use this up. 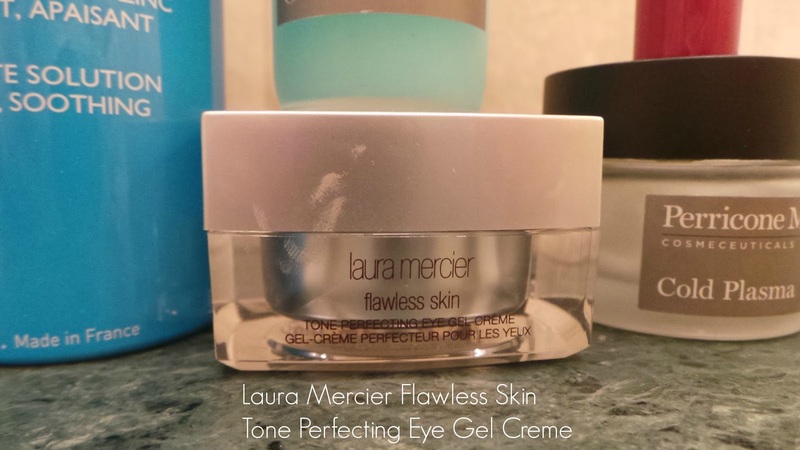 I then apply my eye cream and I am currently using the Laura Mercier Flawless Skin Tone Perfecting Eye Gel Creme. I have to say I am not very impressed with this-the texture is very silicone based and it actually feels like you're putting vaseline under your eyes. It does feel quite soothing and it dries quickly but I would not repurchase this. It claims to brighten and depuff, improve tone and texture. However I haven't felt like I have seen any benefit from using it. I have then been using this Perricone MD duo. They are hideously expensive and my experience with them hasn't been plain sailing. In fact I stopped and then re-started using them three times before I worked out it wasn't them causing the breakouts I was having (It was, it seems the Kate Somerville Goat Milk cream). 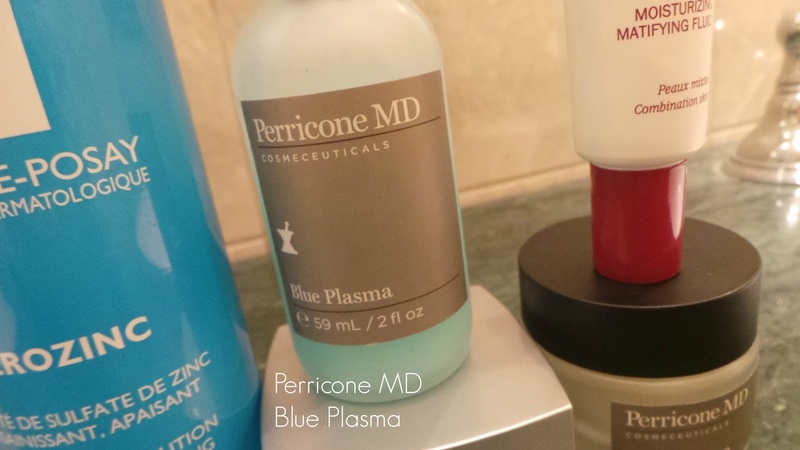 Perricone MD Blue Plasma is a non acidic daily peel. You put 3-4 drops from the pipette into your palms and then press it onto your skin. It dries almost immediately and has a slightly tacky finish. It claims to resurface the skin without causing redness or irritation. It removes dead skin cells and adds moisture to the skin. The end result is soft and smooth skin, reduced pore size and diminished wrinkles. My experience is that it does indeed leave your skin very soft and does not irritate the skin. I have been using it for about 10 weeks now but I haven't seen a noticeable reduction in pore size (a big concern for me). Cold Plasma is complimentary to Blue Plasma and is applied after applying the Blue Plasma. It's a light gel/serum that absorbs easily and quickly and claims to tackle the 10 most visible signs of aging. I found the more I used, the more my skin liked it. A more is more approach. I would love to buy this for my mum and get her into a proper skincare routine and see if she likes it. I have felt my skin has been more radiant since using the cold plasma but not enough to make me want to repurchase it right now. I am 33 and so aging is becoming a concern but not enough to justify the price of this, as after 10 weeks I am now on the last dregs of the jar. Finally, before I apply my make up I apply a thin layer of this light moisturiser. My skin does not like heavy moisturisers at all, hence why I don't use one in the evening. 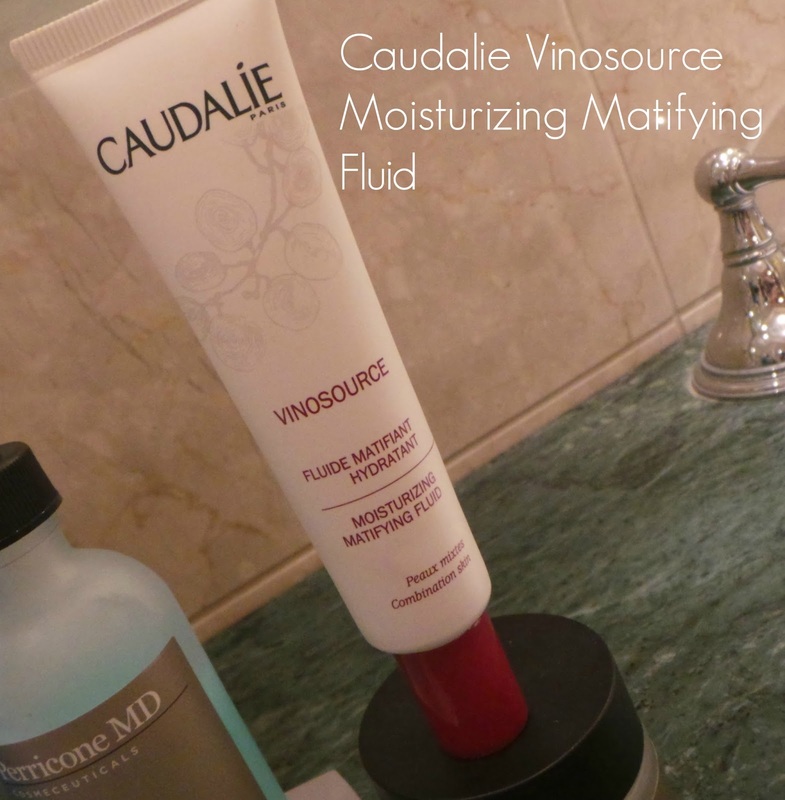 It really does like this light fluid from Caudalie and I would definitely repurchase this moisturiser. It doesn't give a very matte base but it absorbs instantly meaning you can get to work on your make up. In the evening I take a little more time over my routine, although in total it doesn't take me more than 5 minutes. I remove my eye make up first, usually with the Garnier Soothing 2 in 1 make up remover-it's cheap and effective and I get my mum to bring it for me from the UK or bulk buy when I come home. 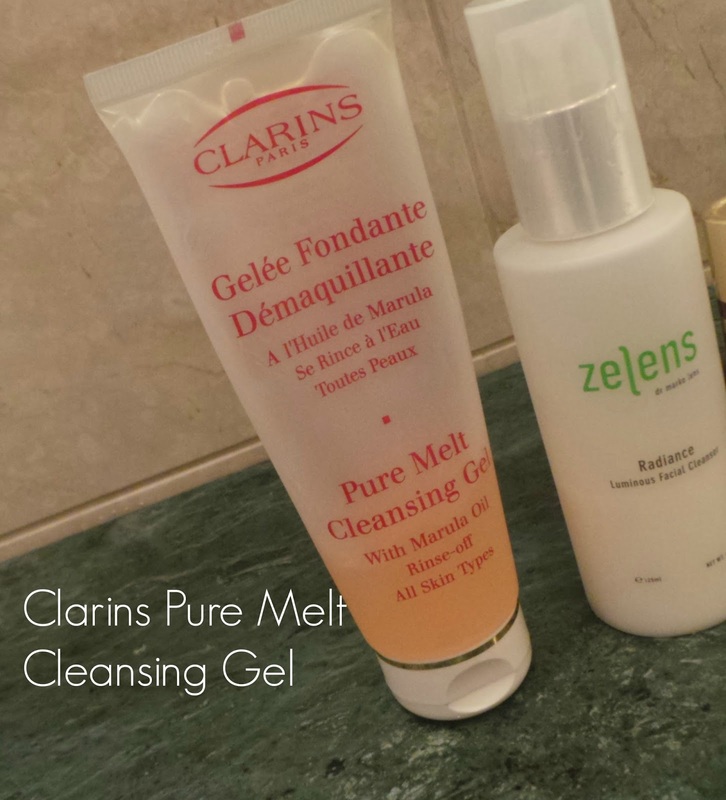 I then use the Clarins Pure Melt Cleansing Gel to remove my make up. I wear make up every day (unless I am literally dying with illness) and so I want to ensure I really thoroughly remove it at the end of the day. I have been using a lot of balm cleansers in the past six months-like Emma Hardie, Elemis, Clinique Take The Day Off etc so this was a bit of a departure for me. But it is amazing. It's a peachy scented gel that you apply to dry skin and then emulsify with water. It's really easy to spread over your face and doesn't have that 'I'm spreading thick honey all over my face' feeling you get when you apply something like Emma Hardie. I rinse my face and then finally remove any excess with a damp flannel. This is important otherwise I can feel like I have a film on my face. It feels very gentle and can be used around the eyes and leaves skin feeling clean and soft. I have already purchased another one. 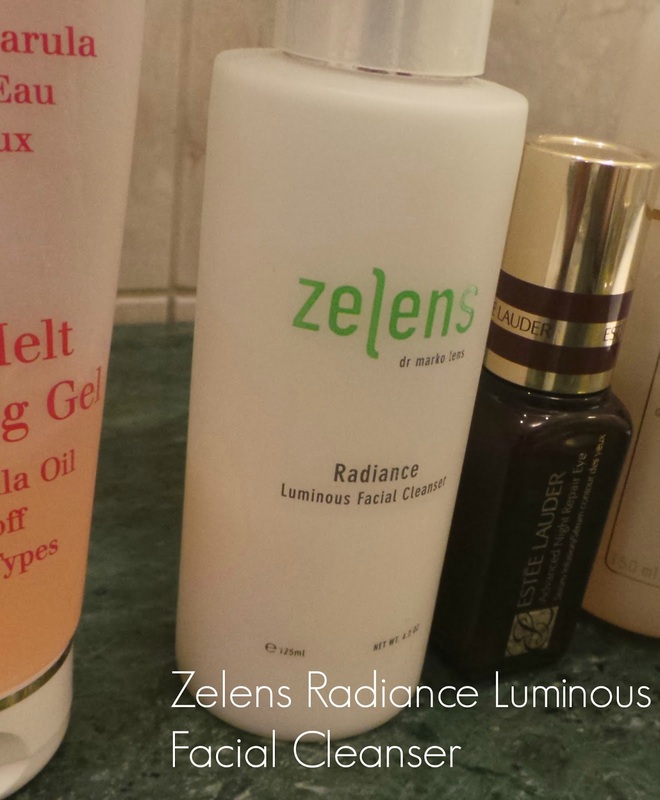 As my second cleanse I am using the Zelens Radiance Luminous Facial Cleanser. To be honest I am just using this up and haven't been terribly impressed with it. There is nothing offensive about it, it just hasn't blown my socks off considering it costs about the same as gold!! Again I massage it into dry skin and then rinse and flannel off. For my second cleanse in the evening I normally look for a cleanser with skincare benefits (usually for me with an AHA) but I would say this Zelens cleanser is a basic cleanser at best and I wouldn't repurchase. 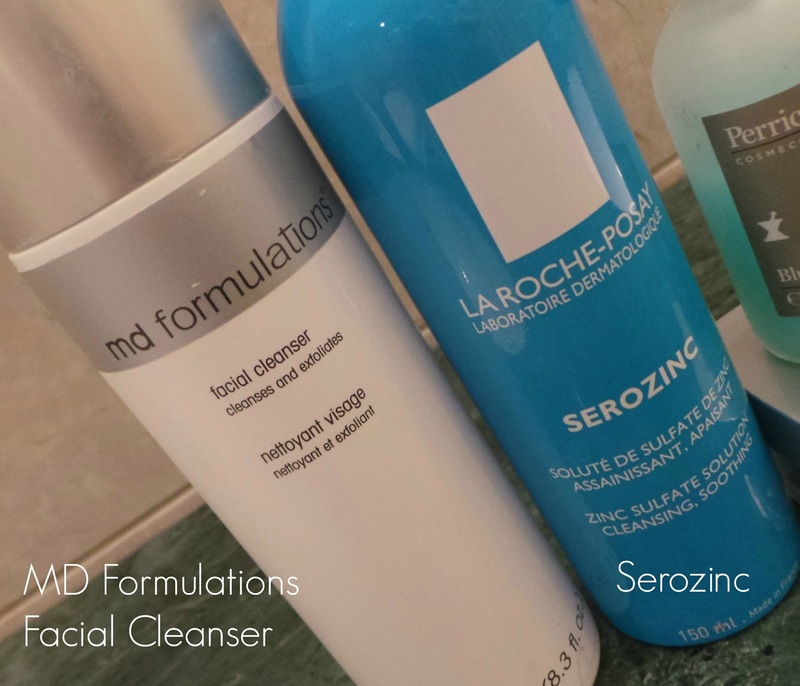 Double cleansing is something I have been doing for about a year now after reading a lot of posts on Caroline Hirons blog and I have noticed a real difference in the clarity of my skin. Using a flannel has also been an absolute game changer for me in my skincare routine-so cheap, so simple and so effective. I literally own like a million now! 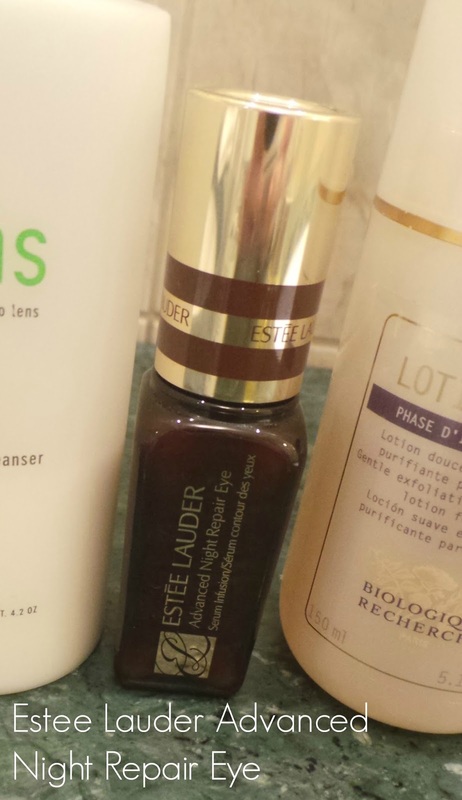 I then apply my eye cream-I am currently using the Estee Lauder Advanced Night Repair Eye. This is an excellent eye cream, it's nourishing whilst being very lightweight, I have seen a visible difference in fine lines and dark circles and I would definitely repurchase. It absorbs really quickly as well. I then move on to my double tone regime. 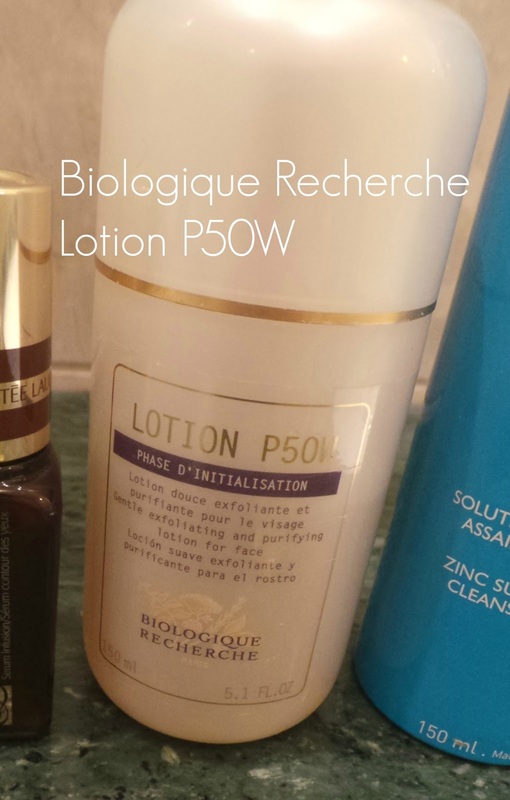 I am currently using the Biologique Recherche P50W toner as my exfoliating toner which I apply first, sweeping it over my skin with a cotton pad. P50W is the mildest of the P50 formulas and something I wouldn't buy again. I like the tingle of an exfoliating toner-the AHA's bursting into action on your skin. Again this is crazy expensive and I do not think it any better than the much cheaper La Roche Posay exfoliating toner or the Michael Todd AHA Lemon toner. But I do love a good exfoliating toner-they exfoliate your skin by removing the top layers to reveal new shiny skin underneath. They add radiance. They fade old scars. They give you baby soft skin. They kick start your skin into renewing itself. I then spray with Serozinc as my hydrating toner step. As I mentioned above I am not enjoying this toner as much as I have previously and am looking forward to trying something new when this runs out. But my skin does seem to like this combination and has been largely blemish free since the start of 2014. You can read about the benefits of double toning from my post here. As I mentioned earlier, I do not use a night cream in the evening but I do use a serum or an oil. Currently I am using the La Roche Posay Effaclar Serum and the Clarins Lotus Face Treatment Oil on alternate evenings. With both of these products I apply 3-4 drops from the pipette into my fingertips and then press the product into my skin before lightly massaging. 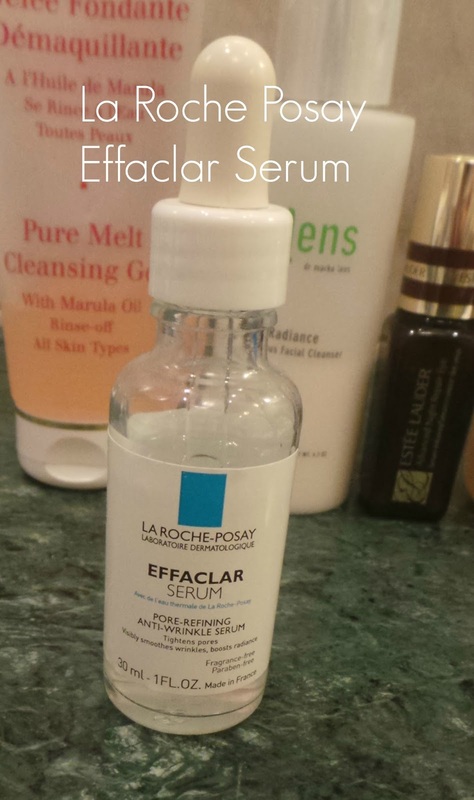 The La Roche Posay Effaclar serum is a fairly viscous but non oily serum that smells slightly clinical. Again this contains 2 AHA's-a glycolic compound and LHA and states it refines pores, smooths wrinkles and boosts radiance. I've found that this serum in particular seems to stop upcoming spots in their tracks and has been good for fading acne scars. My skin also feels so soft after using it. 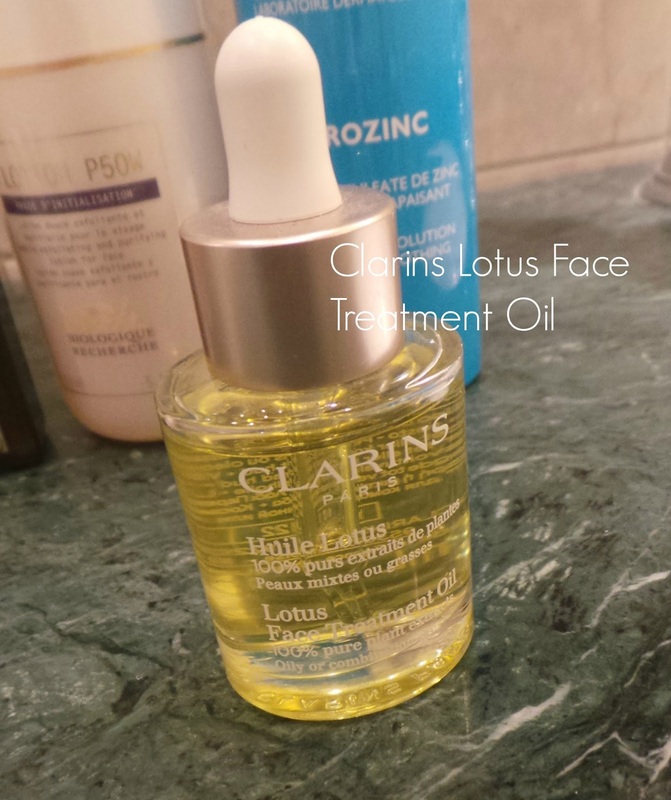 The Clarins Lotus Face Treatment Oil is an incredible recent discovery and I recently wrote a full review on it here. It is slightly heavier than the oil I was using before this one (the Kiehls Midnight Recovery) and I was worried when I first started using it I was heading for breakout city. But my skin was so bad I was desperate and this seemed to get rave reviews. And from the very first usage it was love. I don't know how it does it but this oil absorbs oil. Seriously it actually regulates and controls oil. When I wake up the next morning my skin is less oily and less shiny. I don't get it but I like it! It smells heavenly as most Clarins products do. I use 4 drops pressed into my skin and then leave it to do its thing. This oil is specifically for oily and combination skin and contains rosewood, geranium and lotus extract. The only problem I have at the moment is that some of these products are now on their last dregs-the Clarins and MD Forumlations cleanser, Serozinc, the Cold Plasma and the Caudalie moisturiser will all be in my Feb empties. Thing is, I love trying new things so my routine will still be shaken up again! Oh and one thing I did forget to mention, and it literally is a holy grail product for me is Alpha H Liquid Gold-which I reviewed here and is one of my all time most viewed posts. I always have a bottle of Liquid Gold in my bathroom and use it whenever my skin feels like it's going to break out. It's a little miracle worker and I strongly recommend it for anyone with problem skin. You can see my before and after pictures in the post I have linked in. Do you use any of these products in your routine? Stacey, I have been looking for good night serum. Would you recommend the LRP Effaclar serum or could you suggest something better if you can think of any? Hi Lou! 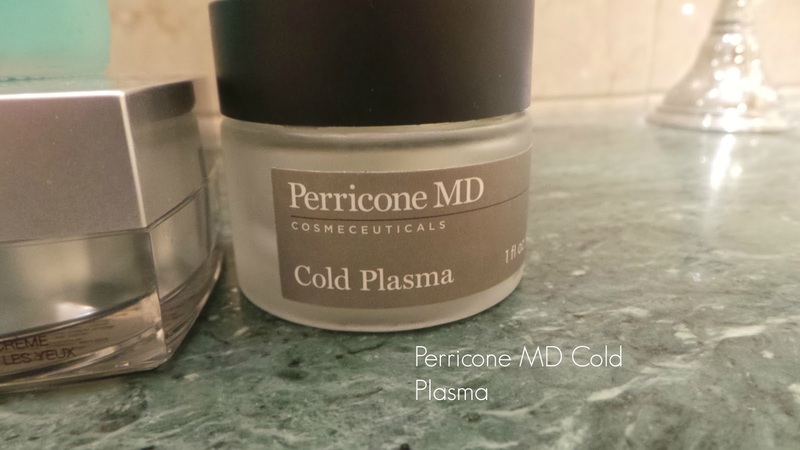 It would be much better if Perricone did samples-I found the box for the cold plasma and it was a whopping £123 from Space Nk. Thats a LOT to shell out for something. I always step up the liquid gold whenever I'm having a bad skin day- another thing I try to do is use a BHA product- I find that really helps with blackheads and large pores, have you tried using one? It sounds like you mostly stick to AHAs. Loved reading this as I find it so interesting what other people do for their skin care regimes. I haven't heard of double toning before, but going to give it a go and see how I get on. I've just recently turned 27 so really need to up my skin care regime now as I've started noticing some fine lines. Like others have written, the Effeclar serum sounds lovely although I'm currently using the Estee Lauder advanced night repair, but haven't noticed any differences in my skin yet. A great post here hun. I really like the sounds of the Effaclar serum. I think your skin type is similar to mine so would love to try it and see if I get the same results. I have heard lots about Perricone MD products and was think of investing, but after reading your thoughts I don't think I'll bother, they're a lot of money and I don't really like to part with my hard earned cash unless its truly worth it. Hey Stacey, I'm intrigued by Cold Plasma, but I've heard SO many different stories I just can't predict what will happen! Maybe one day I'll take a leap of faith and get one of the sets they have, but honestly why can't they make some sample sachets? That would really help! Loving your picks. I am currently using the Trilogy Hydrating toner and I really love it and can recommend. I find using an oil instead of a moisturiser so much more beneficial for my skin too.